The Global Clean Water Desalination Alliance (GCWDA) has entered into a partnership with the International Office for Water (IOWater), a France-based not-for-profit organization dedicated to improving global water resource management. 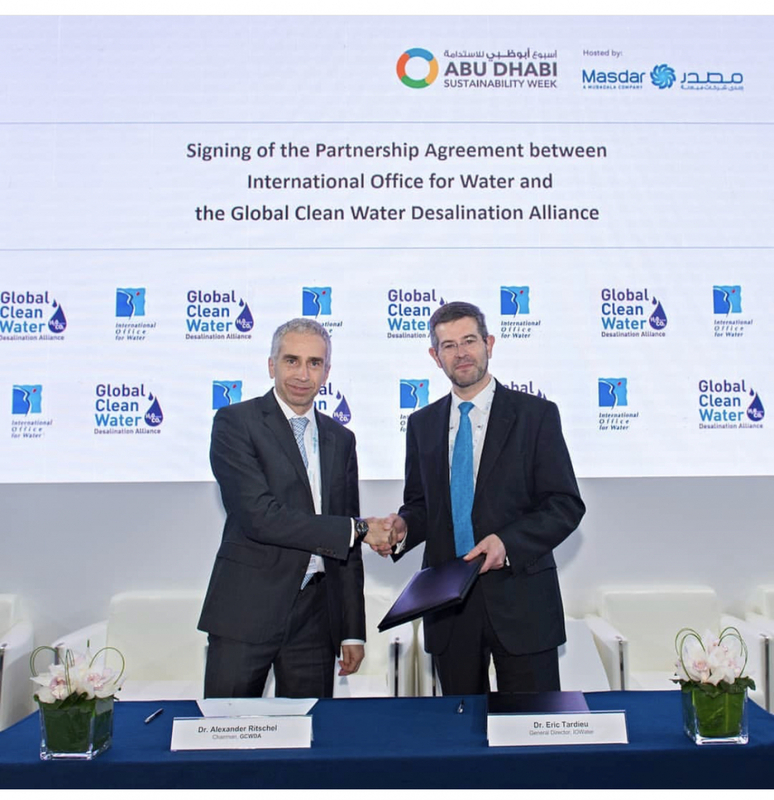 The collaboration was signed the January 16th, during Abu Dhabi Sustainability Week 2019, which is exploring water as one of its six key pillars. The new partnership between GCWDA and IOWater will explore solutions that encourage better stewardship of water resources and help mitigate climate change, and further promote opportunities in clean energy water desalination. “Masdar is proud to be a founding member of the GCWDA and committed to addressing the challenges of water sustainability. We hope to leverage the experience and technical skills of IOWater to build on the progress made in improving access to clean and safe water supplies in water-stressed communities around the world since the alliance was established at the UN Climate Summit in Paris in 2015,” said Mohamed Jameel Al Ramahi, CEO, Masdar. The alliance focuses on four key areas: clean energy supply for desalination plants; energy efficiency, systems integration and demand response; research, development and demonstration; and education, training and outreach. The GCWDA currently has 176 members from 38 countries and 6 continents. and Dr Eric Tardieu, Director-General of IOWater, signing the agreement at Abu Dhabi Sustainability Week 2019.